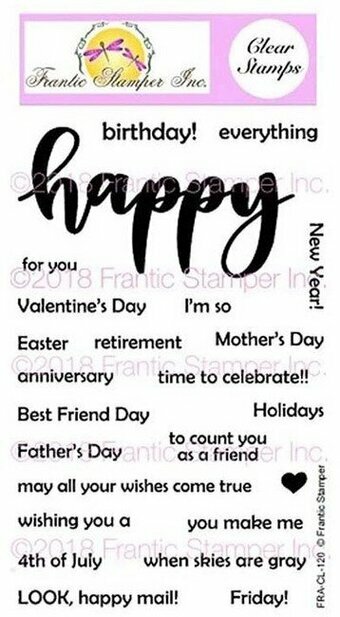 Kaisercraft Clear Stamps featuring the sentiments "Happy Anniversary", "Happy Father's Day", "Happy Mother's Day", and "Happy Birthday". 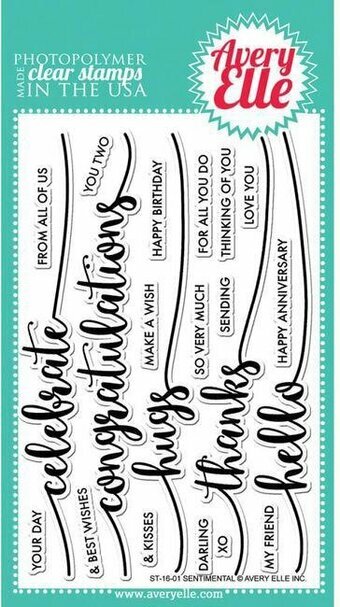 Clear stamps featuring the sentiments "Happy Anniversary", "Thinking of You", "Happy Birthday", "Best Wishes", and more. 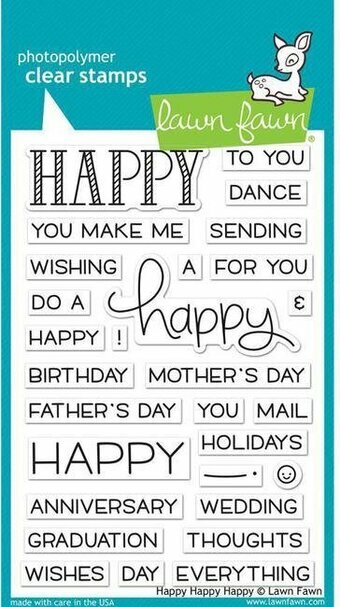 Sentimental clear stamps have everything you need to create the perfect sentiment for any project. 22 total stamps. 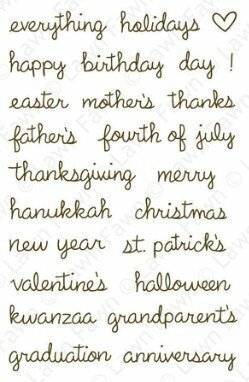 Script hello sentiment stamp measures : 5 3/4" x 3/4"; Happy Birthday sentiment stamp measures : 1 1/4" x 1/8". Our Exclusive clear stamps are proudly made in the USA. Celebrate the Perfect Duet you know with this clear stamp set. Includes wouple singing, couple dancing, radio, slippers, music notes, and sentiments "It's not the years in your life, It's the life in your years!" "Happy anniversary to the perfect duet!" "Still grinning from year to year!" "Happy Anniversary" "Perfect Partners" "You're the one that I love!" A heartfelt wish for a lovely anniversary. Image measures approximately 5" X 3-3/4". Gorillas just want to have fun, let someone know you're bananas over them. 15 stamps. This Large 4" X 6" set of Perfectly Clear Stamps features premium photopolymer images from exclusive Fran Seiford artwork. Interactive images work together for dozens of fun looks. Use with acrylic handle sold separately. Made in the USA. 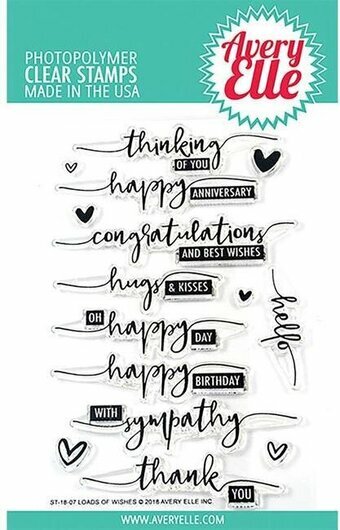 Sending the perfect well wishes to those special couples in your life celebrating an upcoming wedding or anniversary is easily achieved with the beautifully scripted Classic Wedding Wishes Cling Stamp Set. 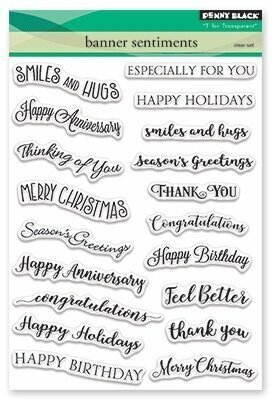 Ideal for use on card fronts or as well wishes revealed inside a romantic handmade card, this wonderful assembling of sentiments ranging from bold to swirling script will be a sentiment stamp set you reach for over and over again in the many years to come. This cling stamp set is part of the Classic Wedding Collection. 1. Happy Anniversary Sentiment: 2.0" x 0.75", 2. Special Couple Sentiment: 2.25" x 1.75", 3. 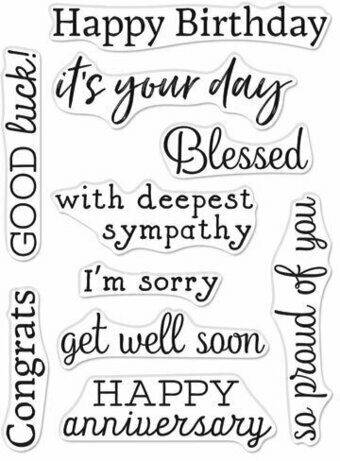 Congratulations Sentiment: 2.5" x 1.0", 4. Bride and Groom Sentiment: 3.0" x 1.0", 5. United with Love Sentiment: 3.75" x 2.0". These cling stamps are ready to use with Acrylic Blocks. Included with stamp set: 1. Storage panel for use with a two or three ring binder, 2. Stamp packaging can also be used as a storage box for the stamp(s). 2" x 6" stamp set, perfect for decorating your planner! Includes "Valentine's Day", "Business Trip", "Anniversary", "Time To Read", "Need To Call", "Vacation", "Date Night", "Birthday", "Coffee Date", "Shopping", "Tea Time", and "Night out with friends". Our crystal clear YNS stamps are made in the USA of High Quality Photopolymer. They have a microscopically porous surface which gives superior ink transfer with all types of ink! We know you will love our crystal clear stamps just as much as we do! 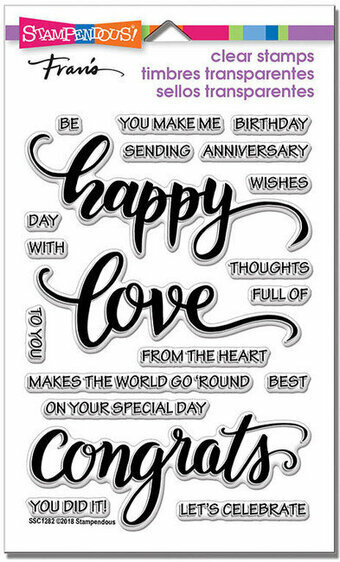 Penny Black clear stamps featuring the sentiments "On Your Wedding Day", "You and Me", "Happy Anniversary", "To The Perfect Pair", and "Mr. & Mrs.".